Mindfulness and Psychiatry: The Next Fad or a New Revolution? As I or any practicing meditator can attest to, though, mindfulness may not be the next panacea, but it is much more than just the next fad. As a psychiatry resident with both a personal interest in meditation and a professional interest in integrating Eastern mindfulness practices into Western psychiatry, I like to keep up with the latest research on the subject. And I can't help but notice how trendy the topic has become. My last literature search turned up articles like "Pilot randomized trial on mindfulness training for smoking in young adult binge drinkers," "Mindfulness-based program for infertility: An efficacy study," and even "Mindfulness-based cognitive group therapy vs. cognitive behavioral group therapy as treatment for driving anger and aggression in Iranian taxi drivers." These days one can hardly read a magazine or medical journal with seeing some reference to this simple concept being the new wave in self-help wisdom. As I or any practicing meditator can attest to, though, mindfulness may not be the next panacea, but it is much more than just the next fad. The core principles of Buddhist psychology were developed almost 2,500 years ago, and first written down by the Indian scholar Buddhaghosa in The Path to Purification almost 1,500 years ago (predating Freud by about 1,400 years). The leap of bringing these eastern concepts to western psychotherapy is credited to several forward-thinking pioneers, including the scientist Jon Kabat-Zinn. Kabat-Zinn, author of the New York Times bestsellers Wherever You Go, There You Are and Full Catastrophe Living, became renowned for bringing his mindfulness-based stress reduction program (MBSR) to the University of Massachusetts in the early 1980s to help patients cope better with chronic pain. The approach was revolutionary. Instead of trying to eliminate the pain, he showed his patients how to accept it. But what is mindfulness, anyway? One definition from the 2005 book Mindfulness and Psychotherapy describes mindfulness as "(1) awareness, (2) of present experience, (3) with acceptance." It's a simple concept, but consider how differently we typically operate. We become bored or detached from the present, instead occupying our minds with fantasies (or worries) about the future or ruminations about the past. Or, we are aware of the present and not accepting of it, either grasping at brief pleasures or resisting unavoidable pains. We try to string happy moment after happy moment, as if we could prevent anything bad from happening in between. What if, instead, we could ride the inevitable ups and downs of life with wisdom and compassion? What if we could accept that we get sick, get old, die? That relationships end? That bad things happen at the worst times? What if we could face all dimensions of the human experience -- from the greatest joy to the deepest pain -- with equal attention and curiosity? Sounds like a pretty good option to me. Which brings me to psychiatry -- a field that is often criticized for focusing too much on treating disease without addressing sufficiently the promotion of wellness, happiness and resilience. Mindfulness could be the tool that helps us bridge the gap. 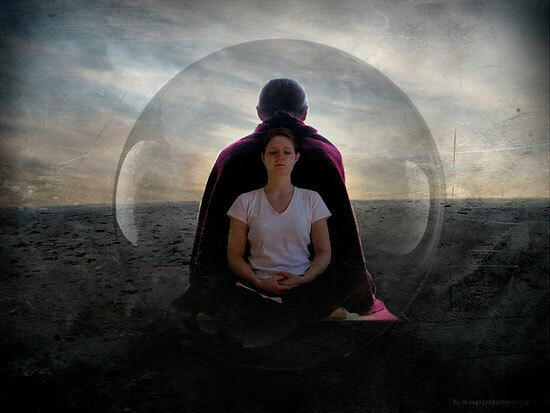 First, mindfulness can help cultivate better mental health practitioners. I notice a profound difference in my level of compassion, my patience, and my ability to tolerate negative affect in myself and my patients when I meditate regularly compared to when I don't. At a time when doctors and other mental health providers are under enough stress trying to treat big problems in too-brief time slots, meditation could help us be better at listening to our patients and staying present with their pain, instead of rushing to prescribe a medication or offer a platitude to assuage our own discomfort. Second, mindfulness can be taught to patients, such as through Kabat-Zinn's MBSR courses, or the related mindfulness-based cognitive therapy (MBCT), and has a strong evidence base in the treatment of chronic pain, anxiety and depression. Third, mindfulness can be brought to organizations, with the potential to impact not just individuals, but communities. There is already a movement to bring mindfulness to the workplace (Google, for example, started offering meditation classes) and even more importantly, to our schools (maybe if these techniques were taught earlier, psychiatrists wouldn't have so much business?). And let's not forget about those angry Iranian taxi drivers -- perhaps mindfulness can help them, too (it did, according to the study). While mindfulness will not solve all of our problems, it is a powerful tool with great potential to help us all transform our relationship with our problems when it is not possible, or desirable, to eliminate them. I hope we are only at the beginning of what will be an important transformation for psychiatry and for mental health care as a whole. Elana Miller, MD writes at Zen Psychiatry. She is a psychiatrist who is passionate about integrating western medicine with eastern philosophy to help people live fuller and happier lives. To get new articles on improving your health and happiness, join her weekly newsletter.